• also available as powder! For serious athletes all around the world, Animal Pak has been their basic food supplements for decades. Fueled with Vitamins, Minerals, Digestive Enzymes and a Performance Complex, Animal Pak is our guarantee that your body has sufficient nutrients to fuel intense workouts. 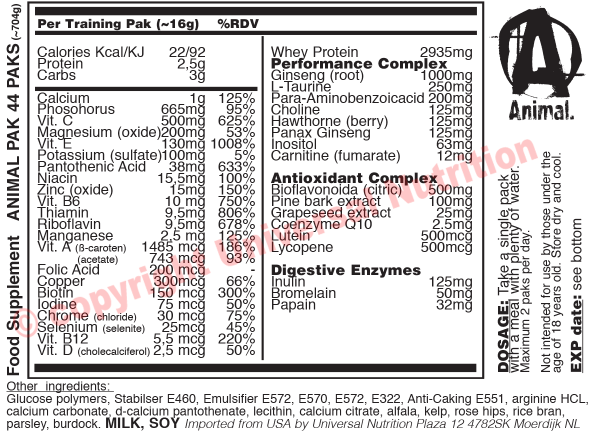 Animal Pak does not have any reviews yet. Share your experiences and post a review.